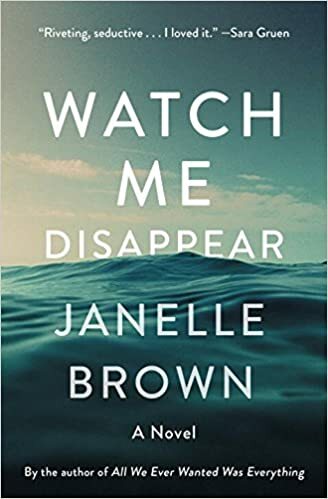 Janelle Brown’s latest novel, Watch Me Disappear, due out July 11, is a gripping read. A mother’s disappearance while on a solo backpacking trip in the mountains of California devastates her husband and daughter. The narrative is beautifully imagined and intricately woven. The plot is driven by love, loss, and lies. Those three forces pull the characters in opposing directions, making them doubt everything they thought they knew. The father, Jonathan’s, love drives him to write a romanticized autobiography of his life with Billie, the lost wife. As events unfold, he begins to doubt that he ever knew her. The daughter, Olive’s, love causes her to see visions of her lost mother, calling Olive to find her. But she finds much more than she thinks she is looking for. The narrative of Watch Me Disappear is filled with unexpected turns that make the reader not want to put the novel down. And the surprises never stop coming. The characters are complex and sympathetically drawn, very real people with traits that make you love them and traits that make you hate them. Watch Me Disappear is an engaging and rewarding read.